My Final Save the Dates! 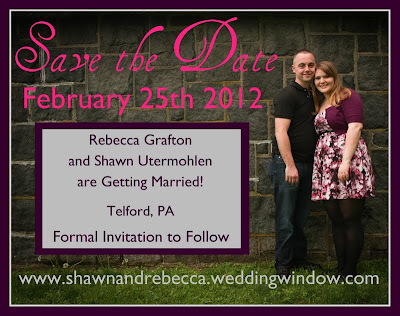 You are all probably tired of hearing about my save the dates....so have no worries! This is the last post about them. You may have seen this post where I showed two designs I had made. I liked them both a lot....but I just wasn't totally happy with either of them. So I made a new one! Here's the final version! To tell you the truth I really got fed up with them after awhile because I designed it on picnik and had limited fonts and they didn't all look good in a small form....but alas. This is was I came up with and I went for it!! I got a deal to get them printed on postcards from Vista Print for ALMOST free. I only had to pay $1 to upload my own design and then for shipping. Total for the order was only about $8 for all the save the dates. Plus, I get to use postcard stamps which cost less to more money saving there! I stamped my address on each card with a custom stamp I won in a giveaway from My Rubber Stamp! 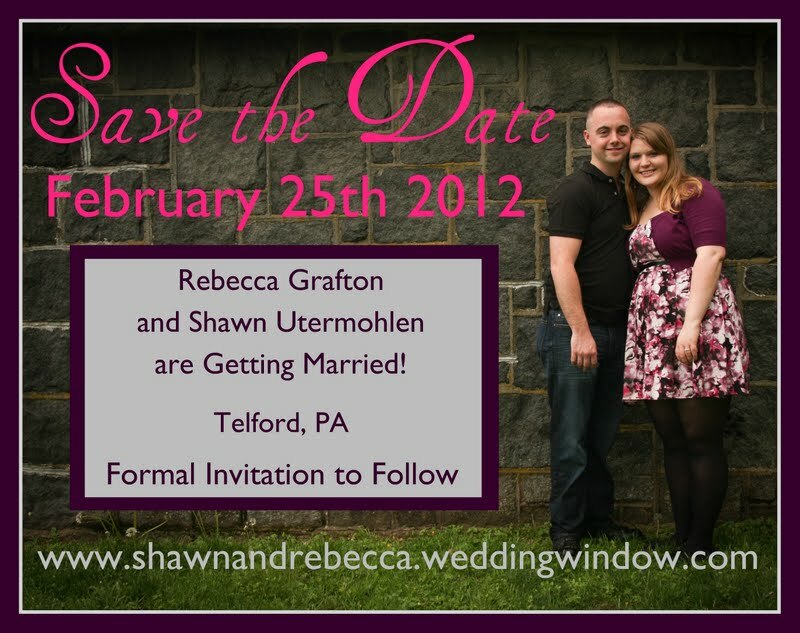 Now all I have to do is finalize the guest list, address them, and send them out!! awesome...you both look so cute! oh, these are so cute!!! I like them better then your other attempts! Very nice! The days will go by so fast believe me.. have fun with it! Meant to say "Congratulations on your engagement!" Aw, they turned out so beautiful! You've got a lot of addressing to do! Have fun! I love it! It's so awesome!! Ahh Becaa, these are so lovely. They reflect so much love and friendship! Congratulations to both of you! That countdown at the bottom reminds me of the time when I was counting days for my wedding :) It's the best time of one's life. Have fun both of you.